Your success is all we aim for! We are entrepreneurs for entrepreneurs... and join in with our creativity, experience and knowledge in order to make your business thrive. We fight with passion - side by side with you - and have access to a network of specialists transforming your business into the best it can be. We are your partner and in for the long run! 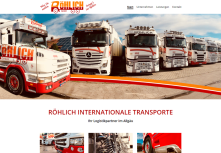 A very successful project together with the owners to redesign their homepage and the way social media and Google are regularly updated with news and photos. We doubled the clicks and have more visitors in the park! Click here for the website "Märchenwald"
We know this feeling in your guts that says "I need to change something"... and we know as well that you often need some external inspiration, conviction and support of a specialist to actually make that change. That's why we don't wait, but actively search for you... we will just choose to work with you, if we see a potential that we can unleash. ... just get in touch!